Form 15G and Form 15H are forms which can help a person avoid TDS incase one does not have to pay income tax at the end of the year. Form 15H is for senior citizens and form 15G is for others. In this article we will see how a person can avoid payment of TDS by submitting these forms 15G and 15H. Suppose your Father has invested Rs 20 lacs in a Bank FD . He gets interest @8% , that’s Rs 1.6 lacs per year . Now ideally he is not supposed to pay any tax on this because this income is less than the limit . But bank cuts the TDS @10% and pays Rs 16,000 to the govt as TAX (Note that TDS is cut only when interest income is more than 10,000) . To get back this 16,000 back , your father will have to file tax return and then wait for the tax refund to come back . TDS means tax deducted at source , what it means is that instead of paying tax at the end of the year , the tax will be levied on the income as and when it arises and hence taken in advance with assumption that anyways the tax has to be paid later . So TDS will arise when your salary comes , when interest of your bank account comes , winning of Lottery and many such things, the rate at which TDS is cut varies from one thing to another and also its different for Resident Indian and NRI’s . Note that in case of Bank deposits , the TDS rate is 10% provided one has furnished his PAN details , otherwise if PAN details are missing the TDS rate is 20% , where as for NRI’s who earn interest on their NRO’s account are subject to 30% TDS . Let me tell you what are form 15G and form 15H . In one line, These forms are self declaration forms to be submitted if total taxable income of a person is going to be less than the permissible limits . So if a person is sure that he will not be required to pay any tax in a particular year , then he can submit for 15H or 15G to avoid deduction of TDS from his interest income and other kind of incomes where TDS is applicable . Note that these forms are not applicable for NRI’s. Form 15H can be submitted by a person who is above 60 yrs (w.e.f 1/4/11) . An important point here is that a person should have not have paid any tax in the previous year . So only if one didn’t have any tax liability in previous year can submit form 15H . It should be submitted at the start of the year itself , so that TDS can be avoided , there is no point in submitting this at the end of financial year because by then TDS would be cut anyways . Form 15H can not be submitted by HUF’s . Form 15G has the same purpose as Form 15H , just that this form should be submitted by a person below 60 yrs old (w.e.f 1/4/11) . Also this form can be submitted by HUF’s . Rest all things are common between 15G and 15H . Any Non Resident Indian from whose Income the Tax is likely to be deducted at source can apply to obtain exemption for tax deduction provided his/her taxable Income in India is less than Rs.1,50,000/- per year. Or if the tax likely to be deducted is more than the estimated tax liability, is eligible to apply for certificate permitting deduction of tax at lower rate. The income tax department generally issues Exemption Certificate for a period of 1 to 3 years. sir recently I had sold my property and I had cleared all my loans and obligations and I had balance amount of 10 lakhs I am giving this amount to my wife which she has no income sources she want to keep this amount for fd to avoid tax what to do. I submitted Form 15G for some of my FDs last year as I did not know what my earnings in my 1st year of retirement would be. TDS was deducted in other FDs. Around Oct, I suspected income would exceed 5 lacs (taxable income more than 2.5 lacs after standard & 80c deduction) and paid Advance tax of 10000, just in case. Will I have to pay penalty & interest for not paying tax in 1st 2 quarters? Also, will I be in 10% or 20% tax slab for income above 4 lacs? I read that form 15g should not be submitted if gross income (without exemptions) is above taxable limit. For FD with cumulative interest, bank deducts tds on quarterly /half-yearly interest paid. The reduced amount added to principal, reduces further interest due, hence reducing maturity value. With exemptions, final taxable income may be less than minimum taxable limit. When one claims back the tds amount from IT dept, the interest on the tds is not gained, hence there is loss to taxpayer. Isn’t that unfair to a low income person? Just take the form from bank, and submit it back after filling it up ! I AM SANATAN PRAMANIK, WORKING UNDER THE WEST BENGAL POWER DEVELOPMENT CORPORATION LIMITED. I maintained tax returns. I am salary holder. I had ppf and 2 fd (90,000.00) pl. tell how i maintain tax deduction. I had land property (HUF) so what sujest to tax saving matter. An FD worth 300000 in the name of a minor under guardianship of mother is eligible to submit 15G with mothers pan??? There is a speculation that if the interest income will exceed 90000/- per year then the 15g form will not be valid.Is there any truth of this word? I have not heard anything like that. Where did you read it? I dont think there is any rule like that! My father’s age is 65 years, he has FD of 1.5 lakhs with 9.75% interest. His maturity value will be 3,11,406 in 2019. 1) Estimated income for which this declaration is made.? 2) Estimated total income of the P.Y in which income mentioned in column 15 to be included.? It has to be the interest income for that year ! i am a salaried person with an income of 4 lac annually I have fixed deposits of 30 lac for five years. But submitted 15g form in previous years. .Should I submit this form this year? I am not sure how it will help you? When a FD is 1 year long say from Nov 2015 – Nov 2016. How do we get to know the exact interest earned on such FD for the Financial year 2015-16? My senior citizen mother submitted Form 15H in April 2015 at banks where she holds FDs. As there was unanticipated income and also inability to invest in tax saving instruments, both the total aggregate income and taxable income for the financial year have exceeded the exemption limit for current financial year. Would there be a problem on account of prior submission of 15H? No , just pay the tax properly ! YEs, what matters is the total income in hand in a year .. so it will be taxbale for him ! My father is 81 years old, he get a pension around 7 lakhs pa, he and my mum have some savings as fixed deposits amounting nearly 40 lakhs, rate of interest on average of 10%. . they do file 15H every year. My question is -Does tax will be deducted from their interest or not? and if yes than are there any procedure to avoid it? I made e-STDR in SBI for the period of six months for Rs.25000/- . In system generated advice it shows me to avoid tax deduction submit 15H/G to the branch after opening e-STDR. 15H/G is necessary for me to submit to avoid tax deduction. sir, I have opened a new e-RD account in sbi through internet banking, i have doubt whether i have to submit 15G or 15 H to sbi branch. kindly give your valuable information. thank you. My mother has fds of 8 lakhs. Whenever she recieve interest about 11% TDS is deducted. She has got her PAN registered in SBI where her fd accounts are registered. How can she get those deduction credited or stop any deduction in future. She donot have any source of income. Can I now submit Form 15 H even if PAN is registered at bank or how I she can avoid TDS and it’s refund in future. hello sir i am planning to invest 25 lacs fd in a bank for 1 year 10.50 interest rate and 25 lacs fd in private institution for 3 years and 14.89 interest rate. my yearly income from this fds goes more than 5 lacs. private institution says they will give tds deducted amount.my question is that how much income tax i have to pay ? what process i have to do? i mean to file income tax return etc? Hi manesh.. I want to withdraw my pf amount more than 30,000 and my service in that company is for four years. I came to know that 10% of the pf amount cuts in TDS and if I submit 15g form then TDS is not applicable. I am currently working in another company. Can I submit form 15G to avoid TDS? Yes, If you submit 15G , TDS is not applicable ! SHe has to do it each year ! . Past year if not done, its gone ! My mother got maturity from LIC proceeds in December. Amount is 7 lacs + . But they deducted her TDS of INR 16000 something. She did not fill 15 G.
My mother has never ever filed any IT return in life. She is also not earning. But she has PAN. Is there any wayout so that she can get the TDS refund. I mean is it fine if you file IT return all of a sudden for her ????? Will there be any query / problem. Yes, you can file the return and ask for refund . There is no issue ! i am working in Singapore. every month i am depositing in FD of amount 20k for 10 years tenure . Mine is a savings account which is opened while i was in India. for the past two years i am deposit like this. is there any charges for me ,if there then please guide me how to avoid it. because i am paying tax for Singapore government already.thanks in advance. There wont be any charges for FD . My mother works as school teacher and her annual salary is 2 laks. She doesnot have any income tax. My grandfather(her father) opened an FD in her name with an amount of 2 laks. (this money came after selling his land and deposited in my mothers name as an FD). The tenure of this FD is 2 years. (renews after every 2 years in september). My mother(she is below 60years) submits form 15G every year. In the same way, she submitted it for the FY 2014-15 in the starting of that financial year. Because of the mistake of the bank staff, they have deducted an income tax of 2000. (approx , am not aware of exact amount) for that year. She submitted form 15 G for FY 2015-16 also. Is it possible to claim that amount that is deducted, since that year is over? Does she need to file an income tax return like every other person(since she never filed an IT return in her life). If so, should it be done in incometaxindiaefiling.gov.in website? Or should it be done in offline mode. Since this FD comes under “Other sources of income”, Please suggest best possible solution for this case.. Yes, you can claim back that by filing the return agian.. I am to receive around 15 k INR provident fund from my ex employer. when I approach them to start the process I am asked to submit 15 G form to declare any investments were made by me in order to avoid tax deductions, for real I have not made any investments also the annual income is not sufficient to be tax deducted as per tax slabs. here my question to receive minimal amount of 15 k , Do I have to submit 15 G form as they asked? I don’t think the interest I earned on the provident fund may not exceed 1.5K. Very informative article… I too need to get approx. 25 K PF from my ex employer and I worked for 8 months only… Need to know if filling and sending 15G is compulsory in my case? Also, have not made any investment in the year 2014-15-16. The only one is NSC of 2010. If 15 G is mandatory, do I need to provide my 2010’s NSC’s info in the form? I retired from the post of Assistant manager (HR) from NHPC Limited on 31.01.2012 and done two FD’s amounting to Rs.10,00,000 each with SBI and the rest amount kept in MOD. Since the interest amount does not exceed the prescribed limit of annually income, so I did not submit the IT Return up to date. I have also not executed the Form 15-H to the said bank. TDS is being deducted by the SBI at his own level. But should I do.Please reply. If The interest earned from my NRE FD is tax free should i submit form G15? which is taxable. if i open a fd of 3 lack. for 2 years. if i submit a 15 g form then there is no no tds on interest of more than 10000. So what is your question ? I didnt get your query actually ! I had deposited 50000 in my saving account for FD purpose. I made FD for 456 days to get 8% Interest i.e. around Rs 5000. Do I need to produce “form-15” and PAN card at the end of Financial year???. also does scholarship comes under income tax if it exceeds 200000??? Hi If interest amount is more than 10,000 only you have to submit FormG else not required, generally scholarship doesn’t come under income tax. I have read your articles, its a great info provider to no-voice persons about financial world. its Very Impressive !! I would like to open FD of 10Lakh for 2yrs on my wife name..
As she is housewife, no source of income and her PAN card is also stated with same info. of No Income.. Question i) The Interest earned on FD will be above 10k Per Annum, So it is taxable or Not? as she has NO source of income and NO income is shown in PAN Card.. ?? Q ii) If yes, tax will be deducted.., then if she submit 15G form to avoid the tax earned on interest … it will be accepted or not ?? Your answer is highly appreciated…. if the income is upto 2.5 lacs, then no tax will be there. While opening the FDs, I issued the cheques (5 lacs+5 lacs+ 4.60 lacs) of another Branch (SBI) and that A/C was in my mother’s name. So the FDs were made against my mother’s CIF No and my mother’s CIF No is printed on the certificates. The only solution given by the Bank official to change to my CIF No is to withdraw the FDs after 7 days of opening and get the entire amount Credited to my Savings A/C then again do the FDs again. Then only the FDs will be made against my CIF no. Could you please tell me Sir, if any amount will be deducted from my 14,60,000/- if I do the same. Waiting for your kind advice and reply Sir. Thank you very much Sir for your kind and prompt advice… Thanks a lot. I’m self-employed (40 yeasrs). Toady I did 3 FDs in SBI for (Rs 5 Lacs + Rs 5 Lacs + Rs 4,60,000) toatal Rs 14,60,000 @ 8.25%. Total yearly interest will be Rs 1,20,450. I’m going to submit Form 15G tomorrow. My yearly income is less than 3,00,000 which is the exemption limit for an individual. 1) Will any TDS be deducted from my FD Interest income? 2) What if my yearly income exeeds the minimum exemption limit in future? I have opened a FD of 111111 @ 8.2%. The tenure is 1 year 3 months. If I see the maturity amount becomes 123052 which shows interest greater than 10%. This is due to extra 3 months. However if we compute tax in an year will be 9999.99. Kindly suggest if I am eligible for TDS and shall i submit the Form 15G for TAX waiving? No TDS for you ! sir i have done FD of 3lakhs for 1 yr and my maturity period is july 2016 and maturity sum R3,23,756.what will my tax deductible if i have not submiited form 15g to bank.i signed all documents and given PAN no on FD forms after i asked my child to FD it as i was GOING off station for few months .He told me that bank manager had told him to submitt 15g form but i will come on sept 2015.15G form should have my signature if sumitting the form on sept would lead any tax deduction.please tell sir i am eagerly waiting for ur answer. You can submit the form 15 later. Form 15 can be submitted only by one person based on their income. Also you dont have to include interst earned after 31st mar ! In the just concluded financial year my total tax liability was zero. I had submitted the Form 15G at the start of that financial year i.e. April-2014. Now, in this financial year I have taken a job and have a salary by which my tax slab falls in the 10% Income tax slab. I hold FDs in different banks whose total interest income will not go above 10000 in that particular bank. I have submitted form 15G at the start of this financial year too i.e. in April 2015. 1. Have I done the right thing in submitting form 15G? 2. Do I need to show the interest income (under column of interest from other income sources) while filing my Income Tax? is TDS only applicable on interest received on FDs and RDs ? does filing Form 15G/H also make provision to reduce FD or RD amount from taxable income ? I need assistance in filling Form 15G , Can you please let me know in which schedule do i fall under in column 22 , 23 , 24 because i just hold one salary account from my pervious company and i do not have any other mode of income part from that . Also if possible can i get a sample form filled for Form 15G so that i can fill it accordingly please . Sure I will do that . Thank you so much for your reply . Whether a senior citizen pensioner (who’s income tax liab is > 10000 from salary+interest) is in order in filing Form 15-H and and he pays full tax as Advance Tax by 15th Mar in lieu of TDS in lieu of the following ? “As per section 207, a resident senior citizen (i.e., an individual of the age of 60 years or above) not having any income from business or profession is not liable to pay advance tax”. My sister is house wife and she is having no earning.But she is having FD aprox 5lac(Interest rate is 8.25%) for this(1Year) in SBI account.She can fill the form 15G or not. for the year 2015-16 of Rs 3,00,000/- ( not having any other income) and i would like to invest Rs 50,000/- in 80c/80cc/80ccd. Whether I can submit 15-g to finance companies. or I have to claim a refund of Rs 30,000/- ( being 10% of TDS) duly submitting the IT return. Yes, you can do that ! If i invest 1lac each in 3 branches of sbi bank. Interest earned for 1 branch is less than 10k. It mean i dont need to submit 15 form right? and the first name is mine. am i liable to fill the form 15g?? Sir, I am a salaried person And have monthly salary gross Rs 17,000/= . I opened a recurring deposit of Rs. 10,000/_ monthly in the year Jan/14. for 3 years. Am I eligible for TDS ? Can I be benefit ed by submitting 15G form? So far no income tax have been deducted from me by the govt. Sir please explain.. My gross salary is 270000 which is taxable if i invest rs 100000 under 80c . can i submit 15 g form ? i had deposited 64000 in bank for one time. the bank officials said that u are liable to pay TDS. the above said income deposited for saving purpose only ..
Any kind of FD interest will attract TDS , but that should happen only when the interest is above 10k a year ! sbi bank a/c me ek PAN se kitne a/c ka KYC ho sakta hai?kyoki mera sbi ke ek branch me tin a/c ( salary, PPF,Joint a/c jo wife ke naam se hai) hai aur ek a/c joint dusre stste me hai.maine salary a/c se ek FD, tin saal ke liye karvaya tha.lekin bank ne mere FD se 20% TDS kat diya hai.ve bol rahe hai ki apka PAN salary a/c se nahi juda hai.jabki maine sabhi a/c ke KYC ke liye PAN card ki copy di hai.ve bol rahe hai ki apka pan sirf do a/c me jud sakega.agar apko salary a/c me PAN judvana hai to kisi ek a/c PAN hataiye.mai kya karu? You can have any number of accounts in same or different banks with same PAN and KYC can happen ! I have a done an FD for Rs. 7000 in 2012 in SBI. On 31-Mar-2013, I could see the following three transactions on my deposit account. It should mostly be the TDS cut . I think your bank is the most suitable contact for this . Ask them for explaination ! How is it related to this article ? I had opened FD in Dec 2012 for an amount Rs 50,000 for 3 Years and got matured in Dec 2014 with an interest of Rs 16500. 2. the interest is apportioned year wise so that 2014-15 year ends with only Rs 5500(16500/3) and no need to deduct TDS as the interest amount is less than Rs 10000 . Bank will deduct the TDS on the full amount . THe rule is that if interest part exceeds Rs 10,000 , then TDS is deducted ..
What about if I am a consultant and get deducted TDS at source . Can I submit form 15 G to my company and ask them not to deduct tax ? My tax liability is zero actually because of investments. But companies deduct TDS on my professional services. Can this form useful thr ? Pls suggest. I dont think its possible in case of professional services ! Hope you are doing good.. I have a small query. Is Form 15G/15H required to be filled in case of Tax-Saving FD u/s 8oC for five years??? Since I know there won’t be any tax arising on my income for the F.Y. 2014-15. Awaiting your response on the same. If I take fixed deposits in bank in the name of my sons ,can i get tax exemption? In Aug 2014 , I have made two FD account 2 lac and 9 lac of each for 1 yr but from last two years I have paid 0 INR tax for last two years as my income from salary is less than the taxable slab. this year also my income will be less than the taxable limit. Now my question is whether I can fill the 15G form or let the bank deduct the TDS. which will help me more to save my money TDS or 15G? whether I can fill the form 15G now for this financial year? You will then have to pay the taxes at the end of the year ! i wanted to know do we need to fill form 15G everytime i make an F.D in a financial year or the form submitted in the beginning of the financial year is enough and the F.D’s made afterwards in that financial year gets automatically linked to the form. i have made 2 fixed deposits for just 60 days period for which i ll get 5400/- interest. do i need to submit 15g/h form? please suggest what should I do..
bank should not deduct TDS once form 15G is submitted, clear it with bank ! My Father’s age is 61 and his income is NIL. However, his interest earned on FD’s is coming to around 2,55,000.
he has already submitted Form 15G/H. I wanted to know if the bank would now cut a straight 10 percent on the complete interest of 255000 OR only on 5000 that is exceeding as per his tax slab. He has no other investments. My mother aged 60 years made an FD of Rs 10,000/- in sahara way back in 2002 and this year it matured an amount of Rs 40,000/- will be paid by sahara. Whether she required to file 15h and our sahara Agent by mistake filed 15g so I am little confused. What will happen. Please answer. was any TDS deducted ? I dont think so ? i have invested rs. 25000 FD on 25.09.2013.Bank will give me interest @9%.it will mature after 1 year. my annual income is rs.195000.can i submit form 15g/h? avd tax is being paid properly and advise bank for non deduction at source is proper ? I dont think there is any relation with advance tax and 15G form, both are totally different things ! please may i know if a minor, with a pan of his own, can submit the form 15g for fixed deposits kept in his name by his father? will there be issues if fixed deposits are opened with the minor as the first person as each bank interprets the rules differently. thanq! Thank you Manish Chauhan. There is a lot of doubt regarding investing in a minor’s name by the parents to avoid being taxed. the Income Tax Return file the of Income Tax Department in Range Office. As like in which office file the form of 15G and 15H. Example of Office is Chief Commissioner of income Tax or Commissioner of Income Tax , Additional Commissoner of Income Tax , Income Tax Officer, Income Tax Officer(TDS), Income Tax officer(Audit), Investigation Department of Income Tax. Please Clear the concer office. Your question is not clear at all ! i have a RD (Recurring Deposi) with SBI bank for 10 years .it will mature 10september 2023 ,at that time i will get 213500 (132000-principle and 81500-interest) . TDS is not applicable in Recurring deposits ! 2015 budget has made RDs liable to TDS if the income in a financial year exceeds Rs. 10,000. Please inform whether filing of return is compulsory for senior citizens ( 60 yrs. & above age ) , who are pensioners , come under taxable range. Yes . its compulsory for every one ! a husband and wife has FDs with bank totalling 25,00,000/= and the interest rate is 9.5%p.a. the FDs are in the joint names of husband and wife. the interest per annum credited to SB a/c amount to approx.245,000/=. both are below 60 years of age and whether IT return has to be filed in this case? It will be a joint income and both have to file the return for themselves. Every person has to submit TDS to the Govt.because you are not only cheating to Govt.but also cheating to yourself. I have joined a firm 2 months ago…when I was checking the data, i noticed that one person has submitted Form 15G even though his total interest income is above the taxable bracket (i.e Rs. 2,00,000/-). When I asked him, he said after claiming deduction under Sec 80C, his total income comes below the taxable bracket. Now my query is that can he submit Form 15G or if not, who is defaulter in the eyes of ITO, the person who submit Form 15G or we, who didn’t deduct TDS and accept the form. What may be the liability on this for both side …. plz clearify. He should not be giving form 15H , because 80C investments are not compulsion, what if he chooses to opt out of it ? Dear Manish,My annual income is Rs.300000 per yr as interest from fixed deposits,and I don’t have any other source of income. I have submitted 15G form to bank for preventing deduction on TDS, As my income is 3 lakhs per yr,Do I have to file income tax? Is it necessary to show income from interest? i am retired from service. i have kept my terminal benefits as fixed deposits in the bank with joint names of my wife & two unmarried daughters & submitted 15h form as a senioner citizen, amount is around 20lakhs, whether tds is avoidable ? to avoid tds please advise. i am a tax payee. ACCEPT 15G FORM UPTO INTEREST 10000RS. SO PLEASE TELL ME WHAT TO DO NOW. SIR EAGERLY WAITING FOR SOLUTION SIR PLEASE REPLY. 15G can be filled and submited by you if there is no tax for your mother at the end of the year . Does 15G is branch specific? In today’s online world(I guess, where ever you open FD, those are linked to customer ID in online), if I opened 1 FD for 20L and submitted 15G for that. Can I open another FD for 20L for the same bank at different branch and submit 15G for this? I had finished a project work for 4.2 Lacs in educational institution , in the final payment they are deducting eight thousand as TDS, how ever my profit earned is forty thousand only. How to get my payment without TDS. I am a senior citizen aged 62 with an estimated income from pension and bank interests etc. of around Rs.4.3 Lakh. I am looking to invest Rs 1 Lakh and avail the maximum tax benefit under chapter VI(A) and bring down my taxable income to around 3.3 Lakh. Shall I submit form 15H? my wife have a fd of rs.45000.00 in bank @9% p..a. bank says you have to submit form 15 G and before that you must have pan number also. she is not earning anything and never file tax return. is pan number must for form 15G. Yes, but why do you want to give 15G , the interest is anyways not more than 10k per year, so TDS will not be cut ! I am 39 years & in 30% tax slab. i have few FDs in a bank and the total interest i am going to get from that is more than Rs.10000/- I have also registered my PAN with bank. I want to know two things. 2. If i do not submit submit form 15G, will the bank deduct tax @20% or more on the interest earned from FDs? 2. If you do not give PAN NUMBER, then its deducated at 20% .. Form 15G is for those who do not have to pay any tax in a year ! I made a FD of 1.5 lac, what form i need to submit in order to escape from Tax deduction. please let me know. Is your overall income for the year less than 2 lac ? only then you can fill up that form ! My Income is under 10% Slab. Could you please suggest me in what Kind of Savings i can invest to show a saving of 80K. As a banker, I am facing an embrassment, to receive Form 15G, from those whose salaried incomes are of range of Rs.5 lacs and above. What can I do in such situations? Further, A senior citizen of age 80 years submitted form 15H for a deposit favouring jointly with his wife, himself and his daughter in the same order payable to any one or survivor. Can I accept from him on behalf of his wife. Some are not submitting in duplicate to enable me to send one copy to the IT dept. I am not much aware of these thing so wanted to clear few of my doubts. Suppose if i have a salary which comes in 10% of tax slab. And i have an FD of 1lac on which i am gaining Rs.8000/- annually then what should be done?? i mean do i need to fill 15G form?? And how much amount will be deducted for Tax from this interest?? please guide me thru this..
Dear Kajal, as you are already in 10% tax slab, you can not file form 15G. If your PAN is registered with the bank, the the TDS ‘ll be deducted @ 10%. for non PAN case, the TDS rate ‘ll be 20%. You cant fill form 15G , 10% from the interst part will be deducted as TDS which is fine ..
my co has taken a car loan from reliance capital. what is the tds rate on interest portion . explain with a example. Why will there be any TDS ? it mandatory to quote valid pan number in 15g/15h. if the deductee is minor having fds in banks and exceeds the limit of 10k interest in fiscal, to avoid TDS he has to submit 15g, so shall he quote guardian’s pan number or he should apply for new pan. My annual income is 5L and interest earned from FD is 7000 per annum.Will i have to pay any tax on the interest earned??? What i need to do when my interest from FD is more than 10000 per annum?? Please inform me , whether filing of IT return on ITR-2 , is compulsory , in cases , where Form 15-G / H is periodically submitted to the banks every year , by the non- tax payers ( ie. whose income below tax range ) and whose interest on deposits exceed Rs. 10,000/- per year. YEs, it has to be submitted every year ! Many many thanks for your prompt and valuable advise. I AM WORKING ABROAD IN MERCHANT NAVY. I HAVE AN FD OF 350000, CAN I SUBMIT FORM 15 G TO AVOID TDS? SECONDLY MY WIFE IS GOVT.TEACHER AND EARNING Rs 15500 PER MONTH. SHE HAS DONE FD OF RS 800000 WITH THE MONEY I SENT TO HER FROM ABROAD? IS SHE ELIGIBLE TO SUBMIT FORM 15 G? You can give a Form 15G to avoid TDS , the money you have sent to her , the income out of that will be treated as your income as the source of money is you . But even then your tax liability will be ZERO , She cant put 15G as her taxable income is above the limits. My date of birth is 20th February 1954.
which Form I shoud I have to submitt to nationalised Bank to avoid TDS on my Interest Income of Fixed Deposits with nationalised bank for F.Y. 2013-2014 assessment year. I am a salaried employee. My taxable income every year comes under the 20% tax slab. So I am anyway filing IT returns every year. Suppose if my income earned through Fixed Deposit Interests is say Rs20,000. 1. Will I get back the tax deducted at source after filing the IT returns? I feel in my case, I have no benefits even if I submit the Form 15G. Am I Correct? If I am not sure whether my income will exceed taxable limit now but will have an idea about my annual income by August/September. can I file form 15G around that time or should it be filed earlier? My expected fd interest will be 12000 during the year. I have own proprietorship business in which I have taken loan from different individuals in that case if I have to deduct TDS from the interest payment done to them? & if that individuals are issuing me form 15G then What I have to do for the purpose of non deduction of TDS. You dont have to do all this from your side. I have two FDs in different banks and the interest earned on them is one lakh and three lakh each respectively(total=4 lakh). I have invested one lakh in PPF.So my total taxable income is three lakh and i am supposed to pay a tax of 10% on one lakh( 3 lakh-2 lakh) which comes to 10,000. If i don’t submit form 15G,banks will deduct 40,000 (10,000+30,000) .Can i submit form 15G only in one bank where my investment is 3 lakh and let the other bank where only 1 lakh is invested deduct tax of 10,000 and file return to avoid refund. hi, my querry is regarding intrest earned in saving acount exceeds 10000 rs. in a year . will it be count in my income earnd in that particular years . actually i am salaried and getting 360000 gross and after all exemptions under hra and ta and 80c. my texable income is below the 200000. 2. should i file the income tax individually if my office is issuing form 16 with nil tax .or is it necessary to file . then what will be the duty of firm i mean the firm doesn’t have TAN and not interested to file TDS return. so please guide me about that. Hi Munish my total income is 1 Lakh per/year and interest from FD is 50 Thousand/year can i fill the from 15 G to avoid TDS. my income around Rs.190000/- per year and Rs.80000/- bank interest per year around totel income Rs.270000/- and Rs.100000/-invest lic,tax saver bond and nsc (80C) in. i can submit form 15G ? do compulsory return file yes or not ? i am not senior citizen. Yes you can file 15G and do not have to pay tax , nor TDS ! . Tax filing is compulsory as the total income is above the limit. So, i have not submitted any 15g form as on date. 1. Is there any tax deduction on 17.11.13 ? 2. If yes, how to avoid tax deduction..? 1. Will your overall income for the year about the limit ? Do you have to pay tax at the end or not ? I am salaried employee and my net income per annum is around 5 lac. Every month income tax is deducted from my salary and remaning amount is credit to my account. I have maid some FD’s in banks arround 3 lacs and i am getting SMS from bank saying that please submit form 15G/15H to get TDS waiver for this financial year. is it necessary to me submit the 15G/15H form to bank? As you mention your net income per annum is 5 Lac Rs. apart from Interest Income. Form 15 G/H require to submission only when your income below to exemption limit . Since your income more than exemption limit you should not require submit to form 15 G/H. I am interested about share market and want to invest in it. but i am a novice, and practically have no knowledge about it. would you please guide me so that i can start investment in share market and get necessary informations like : demat A/C, online share trading, stock, IPO etc. also i would request you to tell me what are the risk factors and what precautions should be taken for share trading. I have not submitted any 15G form so far. 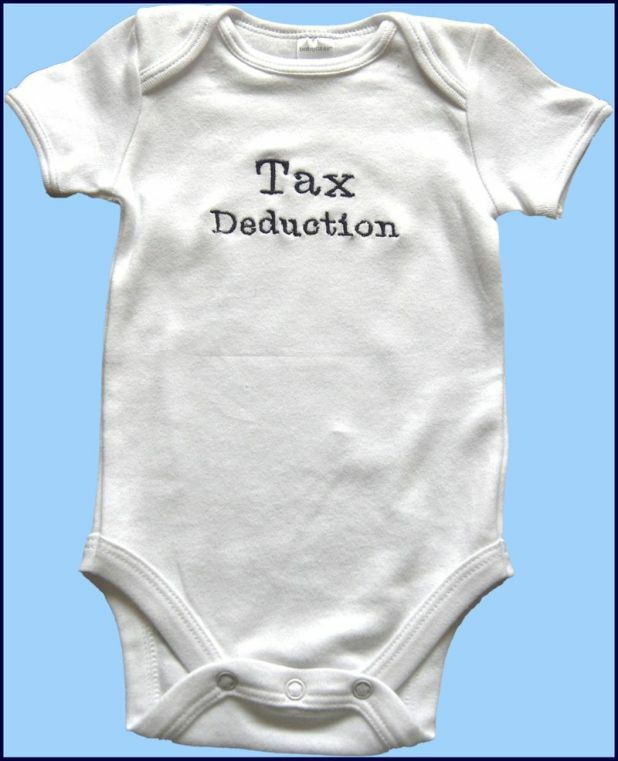 will there be any tax deduction at the time of maturity ? No ,becasue the interest does not cross 10,000 .. but you have to pay tax on the amount anywyas ! if interest does’t not cross 10,000/ , why he has to pay tax?? I’ve joined the World Bank, where the salary is tax free. What IT forms should I file to this effect and when? I’d be glad to hear from you. Which country was htat ? The World Bank, Chennai office. It is also called the International Bank for Reconstruction and Development (IBRD). I’ve been an IT assesse in my earlier companies. Under which IT act/rule does the Disability pension exempted from TAX? Very helpful article! Everything is mentioned in detail and in easy language. Thanks a lot Manish ! I am a student.I am unmarried.I am getting Rs 18000/month as scholarship . I also have a Rs 5lakh FD on my name and I am getting Rs 44000 as interest from this Fixed D eposit .I have no other source of income.I do not want TDS to be deducted from my FD.Can I submit form 15 G.
NO , there is nothing like that ! Can a tax payee also submit 15G (less than 60 years) and later depending on the actual income/tax amount, pay the remaining tax amount before filing the returns? What I mean is, TDS is deducted from my salary by the employer. When I have to furnish the “income from other sources”, I will declare the interest from FDs, etc. What I want to do is, I dont want the bank to deduct the tax (TDS), but I will pay the tax amount after calculating before filing the IT returns. I only want to avoid going into a situation of getting a refund from the IT department for obvious reasons. I am Indian Resident and less than 60 year old. I have two separate FDs at HDFC Bank. 1> 3 lac for 6 months 16 days and maturity being May 19th 2013. 2>2.5 lac for 6 months 16 days and maturity being June 19th 2013. Do i need to submit form 15G to avoid TDS ? Yes . if you do not have any other income , then yes ! I am less than 60 years old. I have an annual income of 2.5 lacs (Salary 1.5 lac/year + Interest from FD 1 lac/year) during the FY 2012-2013. I pay 1 lac for PPF. So my taxable income is nil for AY 2013-2014. But my overall income is above the 2 lac slab. Am I eligible for form 15G submission during the FY 2012-2013. In other words, will the interest income from the FD (for which I am planning to submit the 15G) be added to the total income while considering eligibility for 15G? Yes you are eligible ! Will have to file tax returns now ! Also please note that both this deposits on my spouse name and no taxable income to her. We have an FD for 2 years starting from Jan’2011 and I have submitted 15G at the time of booking FD, and opened a RD on 2012 Oct which gets matured on 2013 Oct.
Do I need to submit 15G every financial year with respect to each FD & RD? or I can ignore as I have already given at the time of FD booking? Sir, I deposit FDs of small amount (Rs.20,000) at various branches of HDFC, however the total Interest earned from all the FDs doesn’t go beyond Rs.2500. Should I file 15G ? Also, isn’t the limit of Rs.10,000 per branch ? It will depend on your income at the end of the year , you should file 15G only if you are very sure that the year end income will not cross the taxable limits . I have opened a three yr FD and would get an interest of 150,00 at the end of tenure. Would this be counted as a lumpsum or would it be treated as 5,000 per year? I want to know that Pvt. Ltd. companies taking Unsecured loans from various individuals can accept Form 15H & 15G respectively. Sir, please help me. I’m a salaried person and paying income tax. My wife is not employed, has FD and the interest is above 10,000 but less than 1.9L which is the limit. In this case I understand that my wife can submit Form 15G to get tax relief. My concern is that my wife’s income (from FD) should be added to my income while submitting ITR?? Awaiting your reply. She can file Form 15G ,and regarding taxability , i had replied to your earliar comment ! I am working abroad. I have opened an FD in my wife name. She is an house wife having no other source of income. And bank has asked me to fill the form 15G. does this form needs to be filled on my behalf or on my wife behalf. And this needs to be send to the bank only or does this needs to be submited to IT dept. I am having FD’s in SBH and I am earning interest on above FD’s more than Rs. 10,000/-, I have submitted the Form 15G to the bank for the FY 2011-12, But recently we came to know from the bank they have deducted the TDS on interest income @ 20% and It is understand from bank they have misplaced the Form 15G they have not updated in their records. In this regard we have approached the bank for refund of the deducted TDS in reply they have told they will issue Form 16A with that I have to file IT return for 2011-12 to get the refund, I have verified in Form 26AS but the deduction TDS amount not reflected in that. My doubt is if I file IT return for 2011-12 (AY2012-13) can I get the refund my salary income and Interest income put together below taxable limits only. NO , You dont understand that form 15G is only for those whose taxable income is below the limits , in your case, you were not support to give form 15G itself , TDS saved does not mean Income tax saved. TDS is just advanced tax , all you need to see is, if your income tax paid is more than income tax liability you had , if yes, then file the tax return , else not ! so now i am planing to make fixed deposit in my wife a/c as she is house wife and does not earn any income. can this help us in saving tax on interest earned out of FD’s. No it will not , the interest will be treated as your income and you will pay tax on it . Dear Mr. Manish, my wife is unemployed, has FDs and getting interest below the limit (1.9L), is it still necessary to add this interest income to my income while I file returns? I’m salaried. But he has paid Tax for that income and giving it to his wife. it is not new income from other source. Why should he get taxed ? Thats how the law is for clubbing income . I am salaried and i pay tax according to my tax slab. Now i saved around 5 lakhs and want to FD the amount. Annul interest on 5 L would be 40 K per Year. will i Still pay tax on this 40K or can i submit 15 G to avoid tax on interest earn on FD. As those 5 Lakhs are saved after taxes were deducted from my total earnings? You need to pay tax on this , form 15G is only for those whose income is less than the taxable limit . I am an NRI and have some FD’s in India from which some TDS has been deducted. To claim the TDS, can I give for 15G? If can not be given then which ITR form should I fill ITR 1 0r ITR2 to claim the TDS deducted. Recently i experienced the following situaltion. I have aHUF account and am submitting 15G for it to get exemption from TDS. I was told that i have to provide a 15G for each FD to be exempted. Till now i was thinking that if i submit 15G once a year, it will be sufficient for all deposits etc of that accunt for that year. Bank officer told me otherwise. I am not able to post my query in the forum. When i try to sign up, it says, pass word is invalid. When i try to use forgot password link, it says email is invalid, though i am getting communication there. You never had an account there.. i created one and emailed you ! uncle is liable for tds..???????????? I want to clear few of my doubts regarding TDS Deduction. 1) I am working in a Private company, will pay Tax around 25K at the end of the Financial Year 2012-2013. This 25K Tax will be on my total salary which i will earn during the Financial Year. Now suppose in a bank, 2k gets deducted as a TDS, and the Bank gives me the TDS deduction Certificate. Now while Filing the IT Return Form when i will Submit Form 16 along with the TDS Deduction Certification issued by the Bank, then this 2 K will be returned or what? and if its returned then how much time it will take? And one more thing exactly when did the Bank will issue this TAX Deduction Certificate. Can i adjust this 2K deduction in my company tax deduction so that instead of paying tax 25K i will pay 23K only. Now i wanted to know how the TDS gets calculated, i will be earn some intrest amount on my account balance 200000 (for ex 4%), Then i will earn some intrest on all the respective FD’s with their respective intrest Rates. So while Calculating the total Interest earned in a year will be added together while calculating TDS deduction or what? As i have seen in the Forum someone asked to open a FD in a diff-diff Banch of same bank. Will it work? If i will open a FD then automatically my Customer ID(In That bank) will be linked to that FD. and the Bank can easily track all my FDs. But if i will open the FDs in different-2 Bank itself then obviously one bank will not be knowing abt others, But here again there is a problem. I personaly visited some banks regarding FDs and they told that a Saving accout is mandatory for opening the FDs. Now if i want to keep FDs in Diff-2 Bank then i will end with many Bank Accounts and worst thing is that i need to keep the minimum Balance in that account. 1) Is it safe to submit this form if i am already paying Tax? 2)And these forms need to submitted on Yearly Basis or What? 3) If i have TDS deduction in more than one Bank then do i need to submit in each Bank? Could you please answered these queries? Your bank is cutting TDS on the yearly interest you will earn on your FD . You must be clear that you also pay tax on any kind of FD interest earned in the year . I can see that you have around 1.5 lacs of FD in total . now assuming the average yearly interest rate of 10% .. the interest will be around 15,000 per year ..
Bank interest is taxable and you need to pay tax on this and note that it is on accrual basis , means even if you get it later , you need to pay tax on that this year itself . Now when you file your returns , you can mention that already TDS is cut and hence you dont need to pay additional tax . Why do you think you should be getting it back ? if i have submitted form 15H/15G to my company, not to deduct tds on my charges….shall company deduct tds..
Companies dont accept 15G i guess ! shiva: how to exempt from tds on AP:MAHILA PODUPU SANGAM LOANS. my mother as a leader in mahila podupu sangam and taken loan from the bank but they deducted TDS on that amount any suggestions please help..
TDS deducted on loan ? I have not heard anythign like this ! Say I am earning Rs. 9,000 from my FD at a bank in a financial year. In the same period I earn interest amount of Rs. 1,800 from my saving A/c and Rs. 1200 from RD account in the same branch. Will the TDS be deducted by bank on my interest amount in this situation? If yes, how much amount will get deducted provided they have my PAN number. I am just having small amount in FD,ie 30,000/-Rs for 5 Years , still do i require to fill up Form 15 G? Yes .. your total interest would be more than 10k , in that case the bank would be able to track it (assuming all FD are in same bank) . Thanks for initiating such a useful discussion. I have some queries. I have made FDs for a term of 5 years in order to show it as an investment under 80C. Now pls tell me whether these FDs that are made in order to exempt tax are applicable for TDS also. I am a banker, i want to know the date for forwarding 15h/15h to income tax deptt which is submitted by customer to bm. Dear Manish my querry was about on which date 15g/15h form submitted to income tax deptt because we are banker & we collect the forms from our customers. She is student of B.com , she is not having any income. In that case you should fill form 15G , one more point , if she is a MAJOR , its fine , the income which will happen will be treated as her income , but if she is monir (below 18 yrs) , legally the income from FD (as interest) will be part of your income ,its now up to you , if you want to show it legally as yours income or hers . advise limit of 15 g , if my daughter having fd of rs 9 lacs, can tds applicable. i am an agriculturist .i have some bank deposits in different banks and filing every year 15gform also now my question is whatever my totaldeposits intrest is lower than the tax limit, is any chance to make TDS on my deposite intrest? pls inform me any one. First thing to know is that you have to deposit form 15G each year in the start .. now coming to your question , if your total interest income is below the taxable limits, no TDS would be cut ! Its govt rule that you have to submit form 15G , you can do it only if your income is below taxable limit and you are sure about it ! The only thing is in the start of year you can just say that i will invest in tax saving product and hence there will be no tax, but how do you prove that you can failin this , what if for some reason you are unable to put money in tax sving products ? Sorry to be back but one thing just struck me. As you have advised to Binu that if later in the year ,say in Feb or March, if one experiences a cash crunch and is unable to invest under Sec 80C, it is not advisable to submit Form 15 G in advance. But Sir, should such a circumstance arise and one is unable to invest under Sec 80 C, one can always deposit income tax later on and show it in his return, isn’t it Sir ? So what’s the harm in submitting it earlier ? I would like to add my knowledge to what Manish Sir has already advised you. If you are depositing differen amounts in the same bank and in the same names on differen dates by way of FDs, the Customer id remains the same. Only the FD certificate nos change, which makes no difference. So one has to submit Form 15 G only once since it will be reflected in the Bank’s system against your Client id and any subsequent FDs will get the benefit of non-deduction of income tax. Manish Sir, kindly correcvt me if I am wrong. Besides please enlighten me why one has to submit Form 15 G at the begining of FY ( as advised by you to Binu above )when the Bank deducts advance tax for the first time only on 15 Sep of each Fin year. So can’t we submit Form 15 G at anytime before 15 Sep ? My bank is ok with it. Regards Sagar. i recently retired from Air Force and want to fix 15 lac in bank as fixed deposit for that I will be getting appx 11,500 int pm. i want to know whether i have to pay income tax if yes how can I save this please inform. I am getting one thing a bit confusing .we have an a/c in ubi where at the begining of the financial year for certain Fd’s Form 15G been submitted. Now , suppose if in feb or march if i do an FD for that do i have to re-submit form 15G for this financial year. I went to UBI for submission of 15G form for that particular FD they refused to take it & said that only ONCE IN A FINANCIAL YEAR it has to be submitted. So, for that FD any tax would be deducted or not. I am in alittle dilemma.Kindly seek your advice…. let me rephrase the previous question. UBI has deducted Rs.675.00 as a tax against my mother FD on 23.02.2012. She have no PAN card. How can my mother will take back the tax amount bkz she’s income below limit. Can the bank refund the money immediately if i will deposit the 15G. I usually make tax saver investments towards the end of a financial year. So ,can i submit form 15g earlier in the year to avoid tds because i am planning on tax saving investments later ..
No , your cant submit 15G in your case . It has to be submitted in the start of the year and only by those hwo know that they are not going to pay any tax . My wife is doing an internship for 6 months with a stipend of 20,000 p.m. i.e., a total of 1,20,000 which is well below the limit of 1,90,000 for women. Can she avoid TDS at her company by filing 15G. Kindly explain. Not sure if companies accept form 15G . In worst case she will have to file the tax return ! Hello. I hv a qery. Suppose my wife’s income from salary is Rs 16000 p.m. and interest income from bank FD is Rs 56,000 for the AY 2011-12. Thus her total annual income is Rs 2,48,000. But she had deposited Rs 70,000 in her PPF A/c. in AY 2011-12. So effectively her Tax liability comes to Nil considering that no tax is payable upto Rs 1,90,000 and then upto Rs 1,00,000 can be invested under Sec80C. My qerries are 1. Am I right in assuming that her tax liability is Nil ? 2. Is she eligible to submit Form 15 G in Bank for AY 2012-13 since her Tax liability will be Nil, even though her Total income is Rs 2,48,000 and not below Rs 1,90,000 ? Regards Sagar. 2. Yes, she can submit form 15G because she knows in advance that her tax will be NIL . 1. Is it legal for my wife to sign Form15G ? 2. It the overall interest crosses the 1.8L limit, what needs to be done? Can we use 80C to make some investments etc to save taxes? 1. Yes , she has to sign it as its in her name . 2. If the interest crosses 1.8 lacs , in that case you need to pay tax , but you can invest in 80C products and save tax . But the point is that all the income earned will be treated as your income, not hers ! . No you cant submit 15G as you have to pay the tax at the end of the year . Why is your company deducting the tax on this FD ? How is it related ? I dont think you should be submitting 15G at all .. its not right when your salary is taxable . Though my total income is taxable, I submit 15G against FDs to bank and add my bank interest to the income while computing income tax, so that maturity value of the FDs are intact and all the tax is deducted through my office DDO. Please suggest whether I should do otherwise. How these forms 15 g/ 15h helpful for salaried employees? Guys, Appreciate if some one can help with an answer to this… If a person is paying tax in another country and comes under ‘double tax avoidence rule”, he need not pay tax for his/her Indian salary income. This being the case, does this rule applicable to Bank interest and Long term capital gain (in shares) also? How one can avail this facility and avoid paying tax on interest earned?? Does FD interest taxable if it is above 10000 INR @ SBI ? However, in case your Interest during a financial year is more than Rs. 10000, TDS would also be deducted on the same. I have a salaried saving a/c. I joined a 5555 days fd(two nos ) at sbi for 2 lakh each @9.25% . Do I have to submit 15 G every financial year to stop TDS or only once. Even if TDS stopped, does it affect my salaried income. Should I show FD interest while filing income tax return after financial year ? Yes, Form 15G is applicable for only 1 Financial year and you will have to submit a new form for each new financial year. hi Manish,thanks for the reply. I joined a 5 yr tax saving fd at sbi for 1 lakh @9.25% on jan 25 2012.
will i get exemption of 100000 under 80c for AY 2012-2013? Last yr i hve submitted 15g for my mother 4 FD’s.i,e., prevoius year ending 31.03.12. Assesement year 2012 – 2013 . whit i found is tht bank credited int on every quarter . Principal was 55000/- int on maturity was 4609/- . What i shock most is tht total int was not coming to the actual maturity amount . my fear is that whether they have debited some amount money or i should get refunded. i have the xerox of 15G .wht happens if bank fails to submit 15G will one get back i TDS deducted amount??? The bank will not cut TDS if the interest is less than 10k , so in your case there was no requirement of submitting form 15G .. but anyways .. what difference do you see ? can you give details ? I am thinking of making an 4 yr FD of 1,00,000 in SBI at 9.25% compounded quaterlly. In this case simple interest will be less than 10000. But my doubt is whether they calculate simple interest or compound interest? My compound interest in 4th year may be above 10000 right…so is it taxable? or should i reduce the amount to 90000 so that interest will be less than 10000? Rememeber that interest on FD is always taxable .. even if you earn Rs 100 as interest even that is taxable . What you are talking about is TDS , if interest is more than 10k in one year , then TDS is cut by bank itself . okay.. now its clear ..thank u so much..! can u suggest a investmet option for 3 to 5 yrs. i have 2 lakh to invest. this is my first earning, i dont have any investments yet. Declaration under sub-section (IC) of Section 197 A of the Income Tax Act 1961, is to be made by an individual who is of the age of 65 years, for claiming certain receipts without deduction of tax. Has this rule been amended to read 60 years after the Budget Presentation in Feb ’11 ? If so what is the authority for the same – Is there a Circular or Notification. In the event of the reduction in age to 6o years, how will we read section 80D and 80DDB, as per which for deduction in case of senior citizens, it is still 65 years (Form H, as existed earlier) . how i maintain tax returns i am salary holder and i getting some other money.I had ppf and f.d pl.tell how i maintain tax deduction.I had land property (HUF) so what sujest to tax saving matter. Your question is not clear and exactly what you want to achieve. Please meet a tax planner or CA for this . my query is that for an FD of 3 years if a person submits form 15g on 3rd year..so can tds deducted during 1st 2 years (which was deducted during 2years ) be returned?? TDS deducted by banks from interest is deposited to income tax department quarterly, so refund will not be possible after quarter end (june, sept, dec, march). I am a salaried professional. last week I wanted to make FD of 1 lac at 9.50% interest rate for 2 years. I was told if I apply 15G declaration, no tax would be deducted from my FD. I did not know about the clause for non-earning people in form 15G. I already file return through my company. So now how does it work out? Is what I did was illegal? What are the options for retired NRIs (my parents) aged 60 and 67 to alleviate or get a refund on TDS for Fixed Deposits ? The interest income is over 5 lakhs per annum. They have no other income apart from this interest income. Thank you. I read there was 5 lakh exemption for NRI senior above 65 years. They are aged 60 and 67. Do they have to pay any more tax apart from the TDS that is cut automatically ? I was not asking about RI forms 15G and 15H. I understand that does not apply since my parents are NRIs. I am having them consult an accountant but would like to know more myself. Truely speaking its just a waste rule .. there are so many restrictions , that almost no one will be able to avail it .. I am unemployed presently and going to invest in a commercial retail co. and will get interest income from them in the form of PDC’s. Now the Form -15G, which i will submit to the co. shall i download it from the website and filled myself and give it to co. directly or take it from the bank and filled by them and submit there. Please tell me the procedure how to submit Form-15-G to the co.
Thanku Manish for the swift reply..
One thing more, If i submit form 15G to the comp. and it is valid for 1 year right? But in the mid of the year if again i invest more and get more interest income from them and which crosses tax liability then what would be the impact…. In that case you should not submit form 15G , it has to be submitte only when you are “sure” that your taxable income will be below the limit . SIrjee avoid sahara.Even investing in muthoot finance is advisable in comparision to sahara. There is case going between sebi and sahara regarding similar scheme going from the company side. thanks for the information i had cleared my dought.comment and the responses are very helpful.thank you. In the case of a Sr.citizon. expected tax on total income Rs.4,900. on fd tds will be 14900/-. if deposit advance tax on expexted total income, it will be less than tds. whethther he can submit 15h and avoid tds /refund etc., he will deposit tax himself and file the return. FIrst getting amount more than 50,000 as interest in a year from fd will compulsory applies tds unless/untill you get a letter from income tax officer saying tds shouldnt be applied to it as your income is lower than taxable limits.I am not sure but this rule exists i am sure.Any ca or bank officer can confirm it. Now you saying 7 lakhs as interest.& lakhs is the interest you earn on your principal.Its the money you earn and basic income tax limit is 1 lakh 80k something.Its bound to be taxed. Plus ill say dont do the mistake o f filling the form else you will be penalized heavily for giving faulty information as your letter stands a proof in law for your misdeed even though you stand ignore to the rule of the land as it carries your signature. mr x’s income in FY 2011=280000 i.e 240000(salary) 40000 (income from FD ) and he invest 100000 (u/s 80 C). excuse typo error-send frm mobile. Yes , he will be eligible to submit 15G , as his taxable income would be less than the limit and he dont have to pay any tax at the end of the year . If he has less than 10k interest from different branch , then there is no need to fill this form as there wont be any TDS ! . But if its more than 10k , then he has to submit that form to each branch ! Though eligible i guess on taxguru on cnbc awaz i heard by CA Subhash lakhotia that its not a correct practice to do as the form rule states its to be file by those whose income fall below taxable limit without investing or you have income only from interests nothing else.Though you are correct but assessing officer if send a letter(notice) than he is also not wrong as it have been seen they taking undue advantage of language of the law(personal experience by the CA). His advice was to shift fd with different branches such that in 1 branch your fd interest doesnt exceed 10,000 limit as mentioned by Manish Sir. 1. Can 15G/H be submitted by a NRO depositor to avoid tax? if the NRI is residing at Singapore (under double taxation scheme)? No , these forms are not for NRI’s , its only for resident ! My wife is a homemaker, could it be possible to open up a joint account, and make her as the primary account holder, and then put up some 5 Lakh and then submit 15G to avoid taxes. I believe this is completely legal, and smart move? Please advice. Yes, you can always do this. But Karan sir wont that income also be clubbed with Raj income? Appreciate if you can write article regarding NRI for these type of forms. These forms are not applicable for NRI’s ! I SUGGEST THAT TO AVOID TDS HASSLES , AN INDIVIDUAL HAVING INCOME FROM INTEREST ETC EXCEEDING LIMIT CAN ALSO SUBMIT 15G/15H AND DEPOSIT ADVANCE TAX ON DUE DATES. IT SHOULD BE OK UNDER IT ACT BECAUSE ULTIMATELY GOVT IS CONCERNED TO GET TAX FROM ASSESSEES. PLEASE GIVE UR OPINION ON THE POINT SUGGESTED. The Indian Govt very well knows the mentality of Indians. They know that Indians dont like to pay taxes from their own Pocket and that is why they have introduced the concept of TDS and TDS is now being implemented on all payments. Vinod, No-one will go and pay taxes on Interest Income and always try to hide the same. Govt very well knows the mentality of Indians and that is why they have made Non-Deduction of TDS by false certification is a punishable offence. No taxable income or taxable income. If there is no taxable income, 15G/H forms. If there is taxable income, as indicated, there is no much difference between TDS and payment at the end of the year, but for the time lag. It may be difficult to pay a lumpsome at the end of the year and TDS may obviate this problem. Also giving this form when one knows that his income crosses the tax limit may not be correct. Also, now from the PAN number, ITO can see the bank details(of all accounts) of an individual for the period concerned. This can create issues if incorrect form is submitted. Any Non Resident Indian from whose Income the Tax is likely to be deducted at source can apply to obtain exemption for tax deduction provided his/her taxable Income in India is less than Rs.1,50,000/- per year. Or if the tax likely to be deducted is more than the estimated tax liability, is eligible to apply for certificate permitting deduction of tax at lower rate. The income tax department generally issues Exemption Certificate for a period of 1 to 3 years. Any NRI who has obtained Exemption Certificate need to submit it to the Payer of the income who will follow the certificate and not deduct tax or may deduct at a lower rate as given. If there is genuine mistake in representation for obtaining the Exemption Certificate, no penalty is attracted. However you may have to pay interest if you are liable to pay income tax later on. No you dont have to file the return because your income is below the taxable limits . What is it that you are not clear about ? that was something new information , how do we give directions to bank about this ? Is there any format or form for that ? Another thing is, make sure to get confirmation / acknowledgement from the bank for these forms. It happened with my mother, the bank conveniently did not updated the form15 submitted details in their online system, and we ended up getting TDS deducted at the end of the year. True. As a matter of principle, we should ideally keep a receipt of all documents provided to any institution, not only financial institutions. With massive increase of transactions at a branch, it is quiet possible to misplace a document. In such cases, receipts will help a lot. That’s one more useful article. Tell Me,If my total taxable income is going to be more than permissible limits, can I still fill form 15G ? will be it wrong declaration in such case ? It sounds convenient to pay tax at the end of the year myself rather than bank deducting. can you guide me? hmm.. i think it should be fine to submit these forms even if your income is above the limit , because these are the self declaration forms and there is no way to check if your income was really above or below the limit . Although these are self-declaration forms, it is advised not to give wrong declarations. I didnt think of it that way , My bad . yar aise to sab wrong declaration dena shuru kar denge and the whole purpose of deducting TDS would be spoiled. Yes as i said before a lady in bank said my mom to fill this form so that tds dont gets deducted.My mom did the same.Later when i came to know i gave a word to the lady to correctly mention when to fill the form. She said that my mom was a housewife to that i say i file her returns as earning lady and her income goes way par taxable limit and you will bring her under penalty clause with you deed. So again as CA karan said,one needs to be careful while filing the form.Even if by making 80c investment ones incomes goes below taxable limits than also he/she shouldn’t fill the form.Pay tds and than file return to get refund .If done online refund return wont take time. I have planned to leave my Job and go for higher education (MBA), so I submitted Form 15G, but as I was not selected in the CAT test I continue my job and now I am in taxable income of 10%. What shall I do now? Should be ok .. not an issue .. the only thing is TDS will not be cut, you will have to pay the tax manually ! Do we have to submit 15G form every financial year? I had recently submitted my 15G form for the sweep account in SBI for the financial yr 2011-2012. My interest income was more than 10k (summation of interest income of sweep accounts every month) and TDS was happening 10%, 20%, 30% and even 40% on certain interest income of certain sweep accounts though PAN card number was already present. On my conversation with Bank Manager, I submitted the 15G form to avoid TDS and agreed upon to pay the tax on interest income myself. Well now i have file the tax return to claim the excess tax deducted from income tax department, as i have the bank TDS statement of sweep accounts. Reason for explaining this is certain things go on in the back end and we will not be aware of this; as these information were not present in my bank account transaction details. I got this info from e-tax statement under e-tax option. Note: If we break the sweep account partially or completely within a yr, then interest income credited will be for the debited amount wrt interest rates for the term. eg: 10k @8.5% for an yr. Debited 5k after 3 months then interest earned for 3 months will be credited (probably 2%) as per bank norms and not at 8.5% minus TDS @10% of interest earned. Yes ,you need to give form 15G every year. What are those things which has TDS at 40% ? Also what is the conclusion of your comment , May be we need more clarity from you ? Tax deductions of certain sweep accounts interest income were happening at 20%,30%, 40% though i come under 10% slab. TDS is maintained at the lowest tax slab level. The idea of 15G is that if your income is below the lowest tax slab, you can avoid paying TDS. However, if you are in 10% tax bracket, form 15G cannot be given as in it(form 15G), you are declaring that you have no taxable income. In such cases TDS certiciate can be attached and final tax paid can be reduced to that extent. The other point, 20,30,40% tax on interest, you have to discuss with the Branch manager whether it(your info) is correct and if so basis for the same. Currently tax at the highest slab is 30%. And TDS is done at the lowest level only. Even if your salary is in 20 or 30% bracket, the tax due to %differnce need to be paid by respective individual. If BM confirms that 20,30 or 40% is the norm, you may like to take this up with higher authorities. Thanks for providing more clarity on 15G form. After submitting 15G form, PAN number is removed from my bank account number. Removal of PAN number is now making sense. BM told me that as TDS is deducted and submitted to IT Dept for the financial yr 2010-11; it’s not possible to refund from Bank’s end. Therefore he gave me the TDS certificate to claim the excess deducted amount from IT Dept. Since there was no further tax deduction from Banks end, i didn’t get into details of faulty system which is in place. Useful information to many. I suggested this to my father who is using this regularly. Just a digression. Hindu undivided family is a good concept which can be utilised by many to their advantage. However, the concept is new to many. Would like a post on the same. pls write the details of HUF. I already have a PAN as an individual, now is it possible fo me to get benefit as HUF? You forgot to mention that,form submission should only be done if you anticipate that you wont be falling into the tax bracket for the Financial year(your income would be less than the minimum taxable income). If you are salaried and have an taxable income,you Should NOT submit the form. I have seen many persons with income 6 Lakh PA submitting these. In such cases you need to pay taxes on interest and hence submitting form 15 G/H is wrong. Would like to add another important point to the above article that these forms have to be furnished separately for each financial year. thanks , I will put up this point very clearly in the article . Manish, I would like to highlight another point that TDS on Interest is deductible only in case of Fixed Deposits and not for Savings Account. Also I guess 15G forms are to be filled by people who dont have other source of income or they are sure that their income wont cross basic taxable limit(even after investing in 80C they come under nil tax,they shouldn’t file this form). I have seen bank people suggesting to avoid tax on fds just filled the form.But the criteria is other(Income from fd and all other income should be below basic tax limit) and if wrongly done one can be penalized if i am not wrong. I have seen even bank people suggesting to avoid tax on fds just fill the form 15G/H.But the criterion is other(Income from fd and all other income should be below basic tax limit). If wrongly submitted, how to rectify? There is no rectification . You should know the rules before submitting ! Form 15H has been submitted by an individual who id not eligible, what is the interest/fine or the procedure to reconcile with income tax office. We are not aware about it . It would be 300% of the penalty ! Sir, I am a retired person. all these years , and i am paying income tax on my retirement benefits ever since my retirement . My wife now attained the age of 60 and has become senior citizen. To avail the tax deduction of Rs 2.50 lakhs , i wish to give some of my deposits to my wife , so that i also need not pay tax. How best I can do about this.I sit enough if i write my intetion on a stamped paper and kept with me?if so what is the stampage?kindly advise me sir. You cant do it like this . There would be clubbing rules applicable in your case . What if tax payable exceeds taxable limit for F.Y. 2011-2012 ? If an individual pays advance tax/es in Sept or Dec & March 2012, and if he has submitted Form 15 G to Banks, is it right for now ? You dont have to submit 15G if you have any doubt that your income will increase than the limit , its only for them who are sure that there income wont rise . Like a retired person who gets bank interest . perfect time you wrote on the subject as i too is in a bit of fix in this regard. I am an NRI and have an NRO deposit with federal bank (which is the only bank which had offered me a TDS of 10% instead of 30% as you mentioned) . But they didnt assist me with a 15G form though i asked but said may be i can reclaim the 10% by a tax refund claim. i am still looking for the right way to act. hope someone will assist. Form 15G and 15H are applicable to resident indians only. As Srinivas mentioned , these forms are applicable for Residents only . You should ask the bank why didnt they assist you , mainly they should give you these reasons which you are finding on this blog . Now a bundle of doubts…may be too preliminary, still appreciate your time. Is it mandatory to have a tax file to claim a refund later? How easier it is as this is the only taxable product i have? can it be done online? For an FD started in April 2011 and maturing in April 2013 when these filing to be done? Can i get deductions for having insurance products on this? You will have to file the tax return to get your tax refunds . But if you have done the FD in Apr 2011 , now is the time to give your Form 15G and file the tax return only next year . The 15G forms seems to be confusing. There is no place that says “Interest from FD pr other accounts”. Is it possible for you to put a sample filled 15G for all of our reference. If you look at schedule 3 , you can put your interest rate and other details there . also the form 15G is not only for the bank interest , its applicable everywhere , so dont look for specific wordings .